What we all really crave for at the end of the day? Don’t we crave to look stylish? Don’t we desire to be someone who people wouldn’t mind staring at a second time? And don’t we love it when we become the subject of talk for chattering groups of people? Although there are many Tips To Make You Look More Stylish, this is an instant solution to many fashion problems. Whether you are wearing a boring top or have a problem in the bottom-wear, you can fix it instantly with a biker jacket. Also here are some Perfect Office Outfits To Update Your Wardrobe. For oodles of style, you can throw your jacket over your shoulders, with your hands inside your pants’ pockets bypassing the sleeves of the jacket. Are we kidding? Sure not! Layering is quite hit this season. And you can layer your clothes irrespective of whether it is the summer season or the winter. A cool top and a shrug over it or a blazer can never really go wrong. Out of all the Tips To Make You Look More Stylish, you will probably love this one immensely because here we ask you to embrace shades– yes, shades- your love forever! Pairing big with small is a fashion trend we immensely love. If the top is too small, go for an oversized pair of pants. And if the top is a chunky sweater or a baggy top, you can go for a pair of skin-tight jeans or trousers. Also here are some of the coolest Ways to Wear Sneakers with Work Outfits. Playing the label game is going to be expensive, but it’s important to radiate some unadulterated style. A Chanel purse or a pair of Jimmy Choo can add all that glamour instantly. 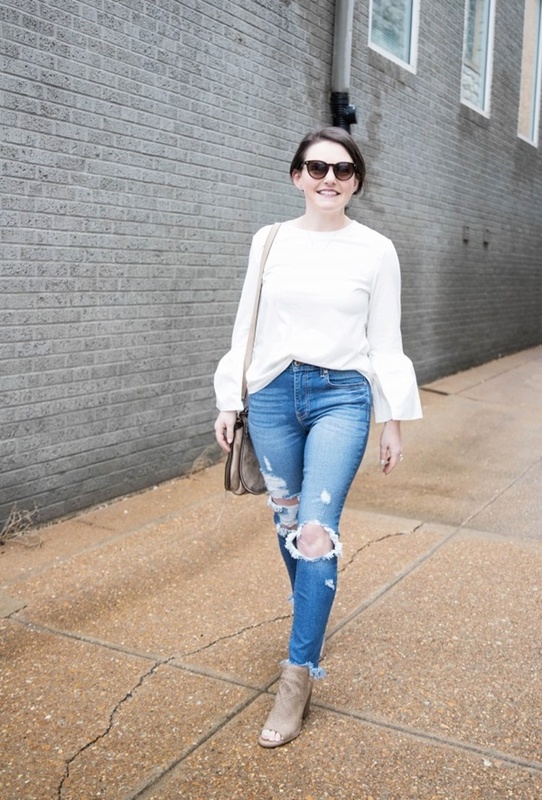 Whether it’s a plain top, a sweater or a collared shirt, just grab the middle of the front hem and tuck it down. If you are carrying a cross-body bag, make sure it’s in the front. This is for that much-needed dose of elegance to your look. Go for distressed denim instead of regular ones. With a top to match, you can really cause some serious rubbernecking among people. Yes, loose-fitting clothes are a rage these days, but somehow when it comes to appearing stylish and good looking at the same time, you need to wear something that fits your body perfectly. Experiment with headgears, especially during winters. Starting from beanies and hats, everything can add that much need oomph to your getup. All you need is to select the right headgear for the outfit you intend to wear. Accessorise wisely. You must be having the best of earrings, bracelets, anklets, belts and hair accessories, but you don’t need all at once. You have to be really careful while choosing the right accessories for your outfit. And it’s also not important to go for all the items you have under your possession. The Tips To Make You Look More Stylish dished out above might appear to be cliched at the first sight. But they are extremely effective. You will realise this only after giving them a try. Here you also find some amazing High Heel Looks For Teen Girls to try out. So what makes you wait? Start implementing the above tips right away, and let people burn in envy for your ever-so-stylish avatar!